“We hope the Indian side can put this in perspective and we stand ready to strengthen cooperation with the Indian side,” said Hua Chunying. China on Monday said it is ready to hold talks with India to resolve their differences on the contentious USD 50 billion China-Pakistan Economic Corridor (CPEC) that passes through PoK. Asked about Indian Ambassador to China Gautam Bambawale’s interview to state-run Global Times in which he had said that differences on the CPEC should not be swept under the carpet, Chinese foreign ministry spokeswoman Hua Chunying said China is willing to hold talks with India in this regard. “I noted the relevant report. Regarding the CPEC, China has repeatedly reiterated our position. As to the differences between China and India, China stands ready to communicate and hold talks with India to seek a proper solution so that these differences will not affect our general national interests. 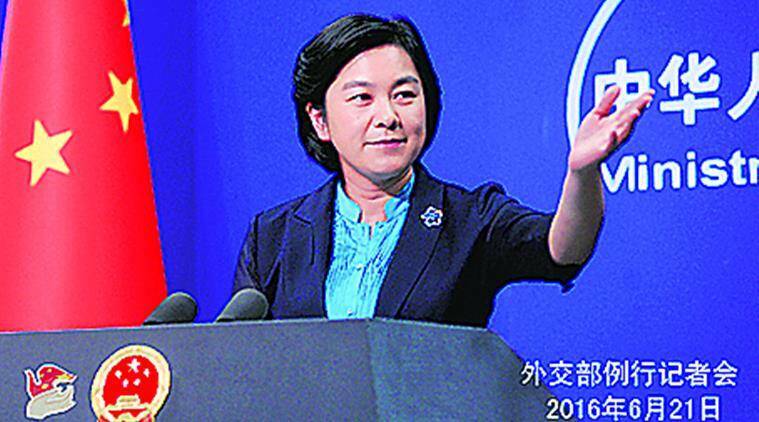 This best serves the interests of the two countries,” she said. As to any differences arising between the two countries, they can be resolved with sincerity and mutual respect, she said, adding that the parties can seek proper solution for management of the differences. “We should not ask one party alone to solve this problem. We are willing to work with India to work with dialogue and communication for a better solution,” she said. “CPEC is merely an economic cooperation project. It has not targeted any third party. We hope the Indian side can put this in perspective and we stand ready to strengthen cooperation with the Indian side,” she said. India has objected to the USD 50 billion CPEC as it passes through Pakistan-occupied Kashmir.